chaos, I went out to work on the car. downlinks in light of a post from a week or so back. 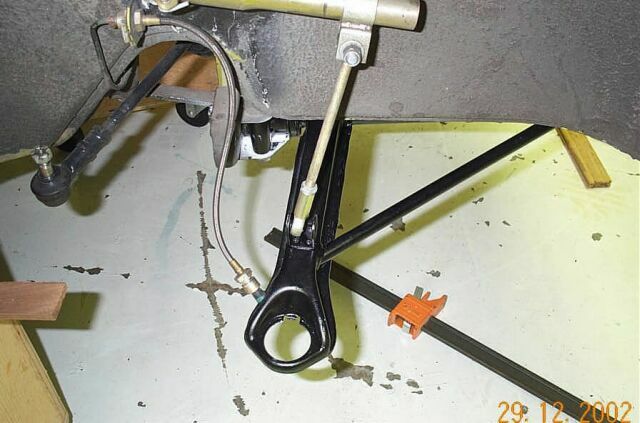 Note the position of the downlink on the sway bar lever arm. That makes its setting fairly soft. 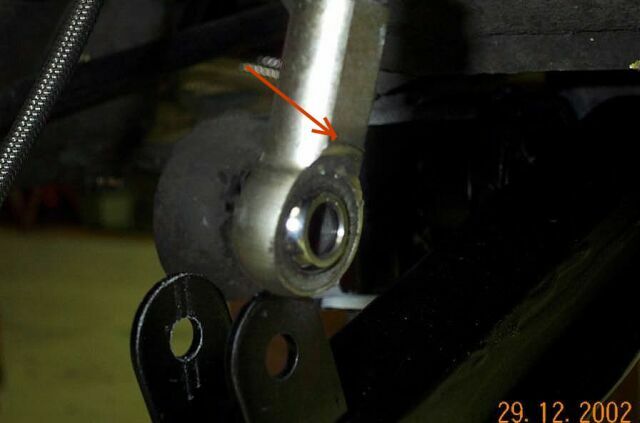 Were it closer to the Sway bar (firmer) I wouldn't have this problem. The ball end has been binding on the U tab and has worn a notch in the ball end. The down link shaft itself is OK, not bent or cracked, but....that would tend to put a side load on the shaft and, at some point, somethin' is gonna give. The spacers/washers & all have been removed for clarity. There is a fix. Brad had em' here and I didn't know bout MY problem so he got away with them.....rats!